The first hospital in Bosnia and Herzegovina was established in year 1866 in Sarajevo, by Turkish governor Topal Sheriff Osman. The hospital had 40 beds with 2 wards (men and women) with auxiliary rooms for employees, pharmacy etc. It was financed by Gazi Husref-bey Vakuf (foundation), hence the name Vakuf hospital. The hospital admissions were made regardless of nationality and religion and treatment was free until 1879. Even after 1879, the hospital bill was to be paid only by those that could afford it. First brain surgery in Bosnia and Herzegovina was performed in Vakuf hospital in 1891 by Dr Karl Bayer who arrived to work in Sarajevo with Austro-Hungarian occupational forces. 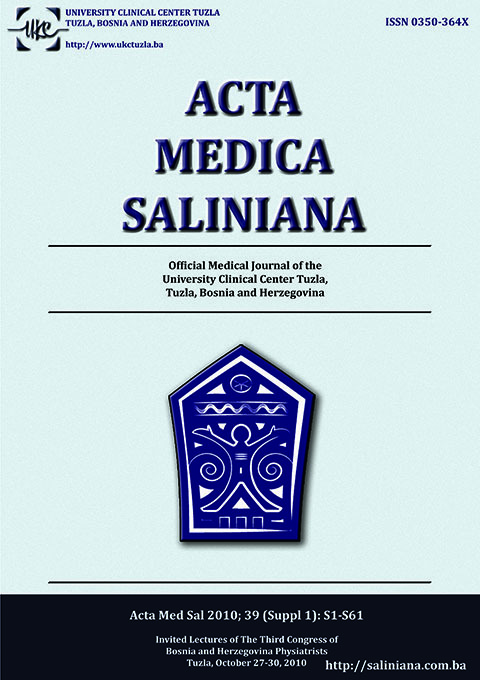 One of the rare photos of Vakuf hospital is presented on the cover of this issue. European medicine came to Ottoman Empire with the beginning of 19 century. 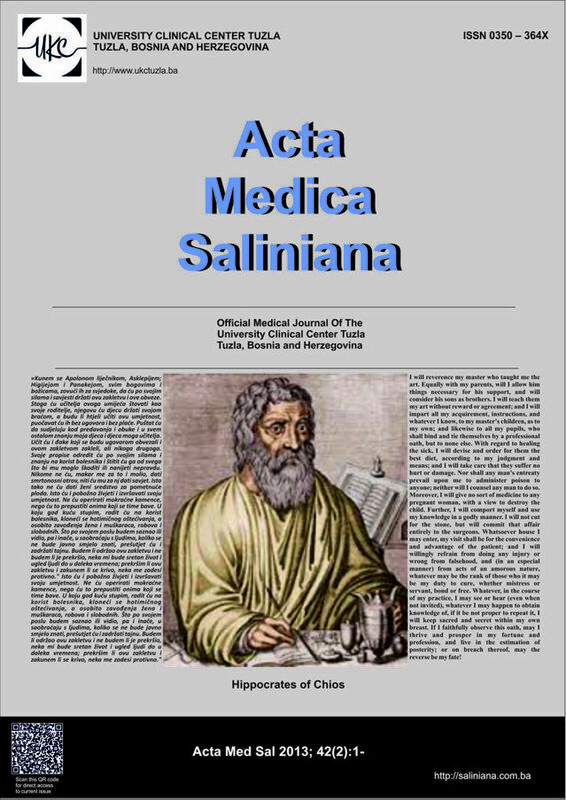 Traditional medicine gradually faded to history especially after publication of series of books by Sanizade Mehmed Ataullah Efendi (1819-1820) in which he presented knowledge from several cardinal European medical reference books without reference to muslim medical tradition. 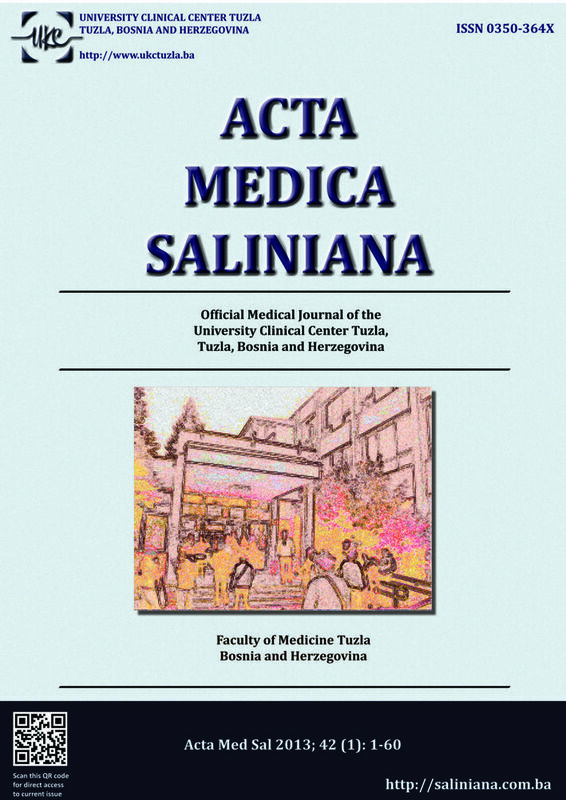 However, the fact that the first modern hospital in Bosnia was established at the very end of Ottoman rule can be explained with distance from Istanbul as a political and administrative center of Empire. 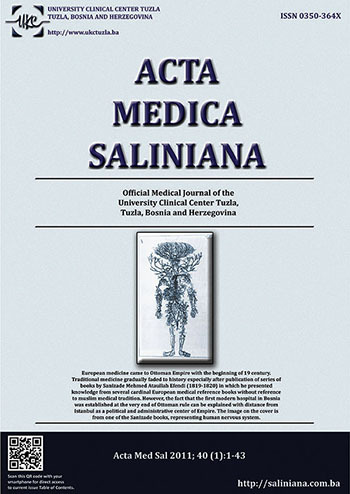 The image on the cover is from one of the Sanizade books, representing human nervous system. 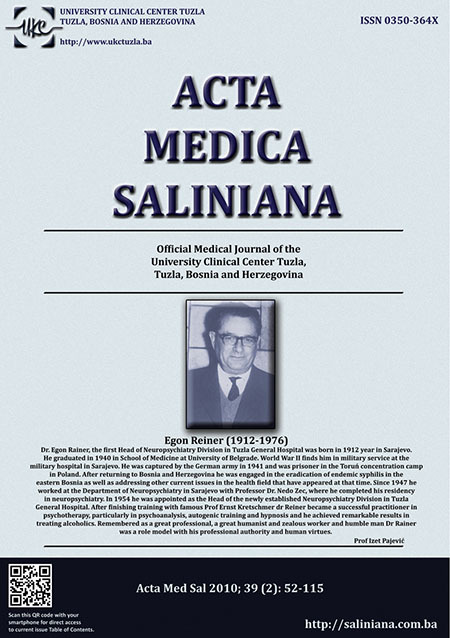 Dr. Egon Rainer, the first Head of Neuropsychiatry Division in Tuzla General Hospital was born in 1912 year in Sarajevo.He graduated in 1940 in School of Medicine at University of Belgrade. World War II finds him in military service at the military hospital in Sarajevo. He was captured by the German army in 1941 and was prisoner in the Toruń concentration camp in Poland. 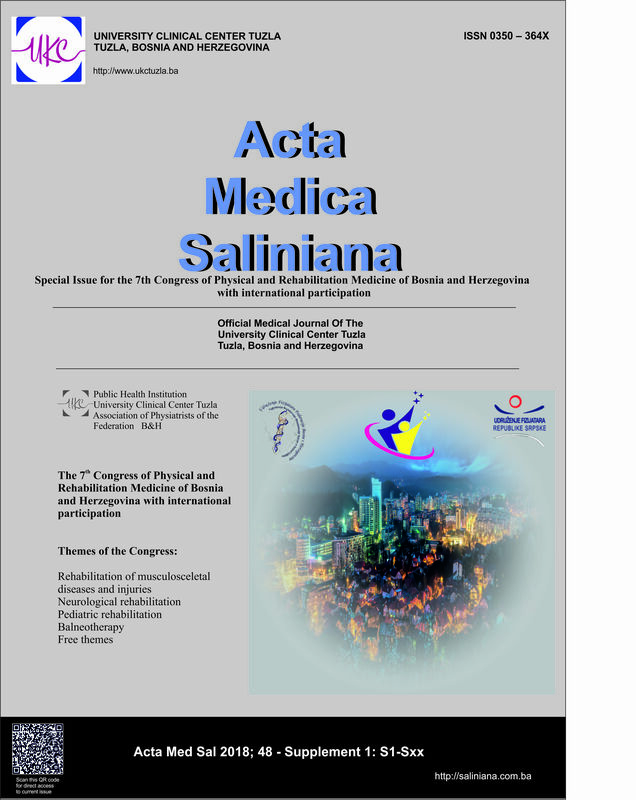 After returning to Bosnia and Herzegovina he was engaged in the eradication of endemic syphilis in the eastern Bosnia as well as addressing other current issues in the health field that have appeared at that time. 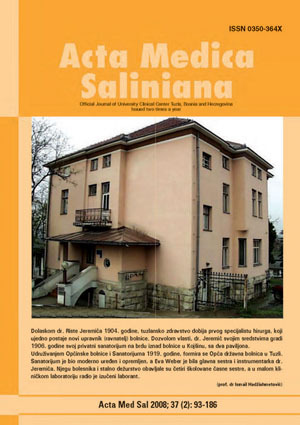 Since 1947 he worked at the Department of Neuropsychiatry in Sarajevo with Professor Dr. Nedo Zec, where he completed his residency in neuropsychiatry. 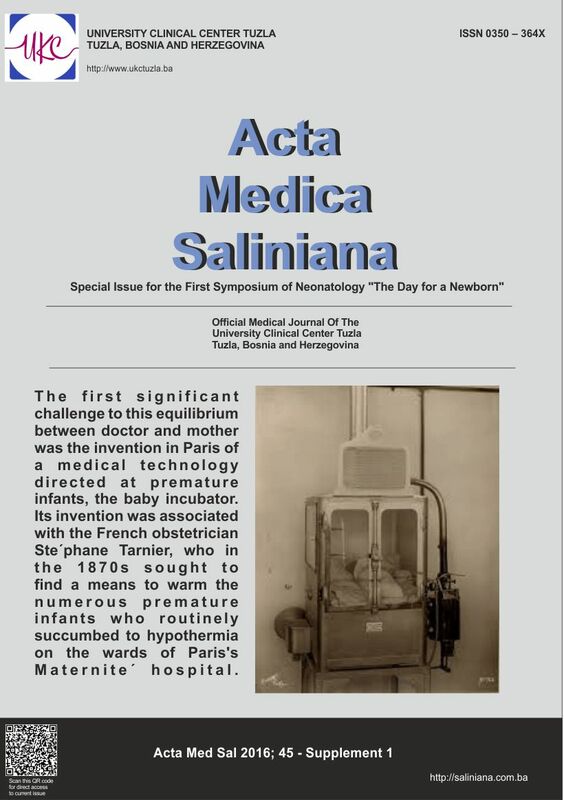 In 1954 he was appointed as the Head of the newly established Neuropsychiatry Division in Tuzla General Hospital. After finishing training with famous Prof Ernst Kretschmer dr Reiner became a successful practitioner in psychotherapy, particularly in psychoanalysis, autogenic training and hypnosis and he achieved remarkable results in treating alcoholics. Remembered as a great professional, a great humanist and zealous worker and humble man Dr Rainer was a role model with his professional authority and human virtues. 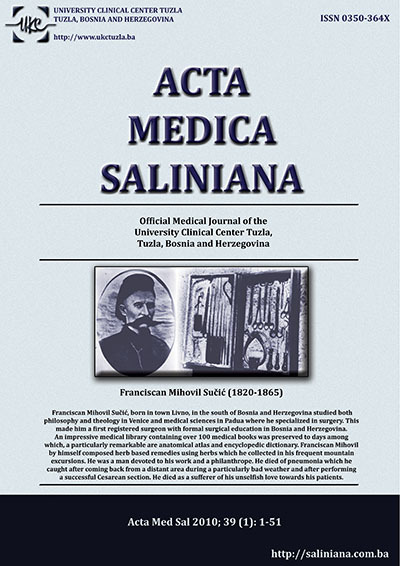 Fra Mihovil Sučić, born in town Livno, in the south of Bosnia and Herzegovina, studied both philosophy and theology in Venice and medical sciences in Padua where he specialized in surgery. This made him a first registered surgeon with formal surgical education in Bosnia and Herzegovina. An impressive medical library containing over 100 medical books was preserved to days among which, a particularly remarkable are anatomical atlas and encyclopedic dictionary. Franciscan Mihovil by himself composed herb based remedies using herbs which he collected in his frequent mountain excursions. He was a man devoted to his work and a philanthrope. He died of pneumonia which he caught after coming back from a distant area during a particularly bad weather and after performing a successful Cesarean section. He died as a sufferer of his unselfish love towards his patients. was one of the “Viennese pupils”, a group of talented young men that were sent by the Topal Osman Pasha, the Governor of the Bosnian province, to Vienna and Constantinople to study medicine. He finished his studies in 1873 (facsimile of the Constantinople diploma on the left half of the picture)and returned to Bosnia. 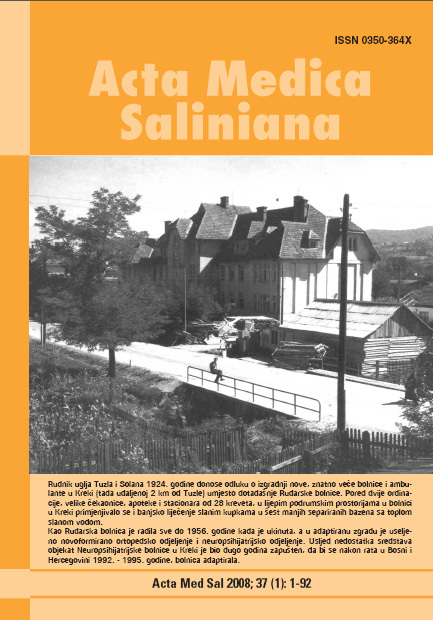 In 1874 his initiative to establish hospital “Hastahana” in Tuzla was a success and hospital was opened in autumn of 1874. 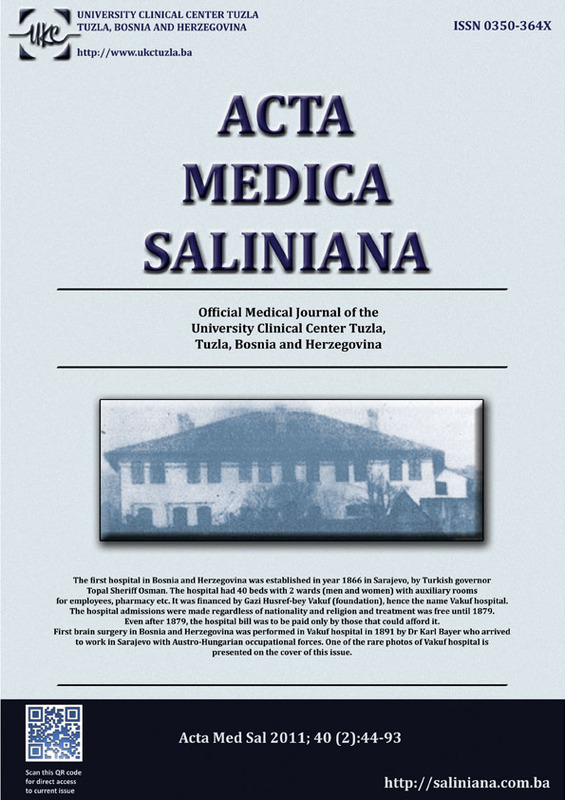 When the Austro-Hungarian Empire annexed the region there were only 6 or 7 physicians in Bosnia and Herzegovina. 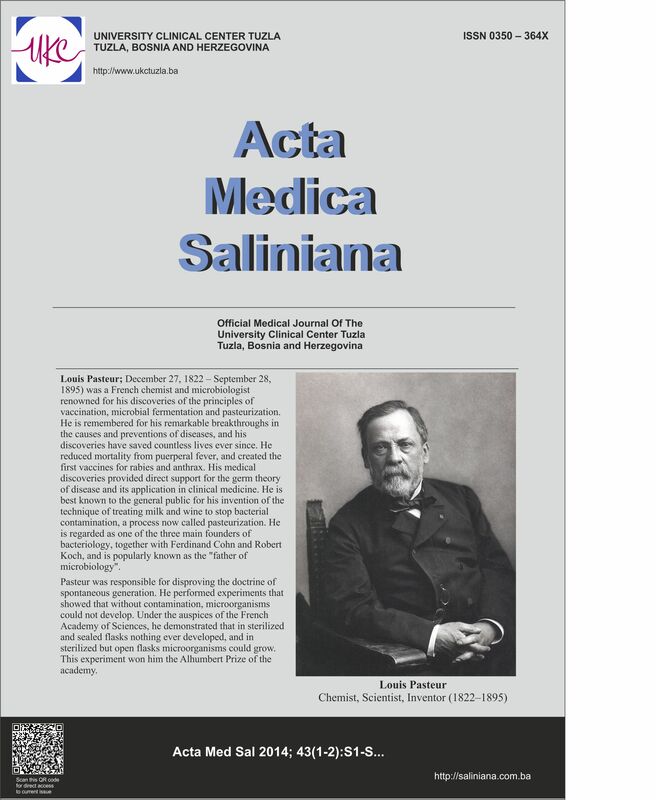 By the new law, Serbic was allowed to practice only after recertification of diploma in Vienna in 1879. 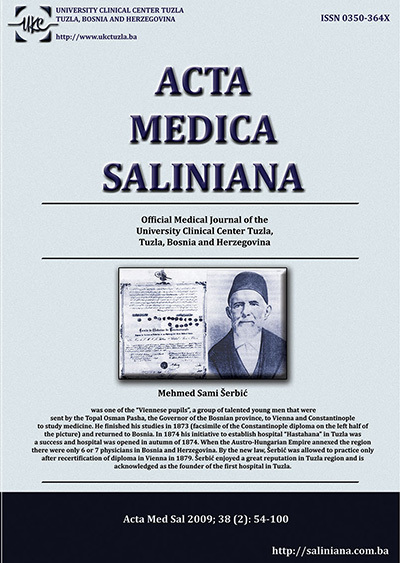 Serbic enjoyed a great reputation in Tuzla region and is acknowledged as the founder of the first hospital in Tuzla. 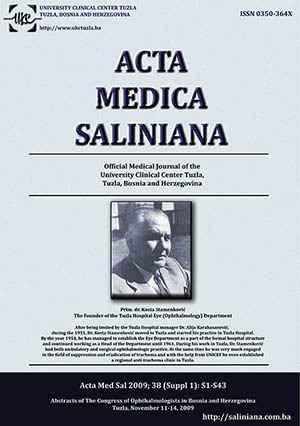 After being invited by the Tuzla Hospital manager Dr. Alija Karahasanović, during the 1951, Dr. Kosta Stamenković moved to Tuzla and started his practice in Tuzla Hospital. By the year 1954, he has managed to establish the Eye Department as a part of the formal hospital structure and continued working as a Head of the Department until 1961. 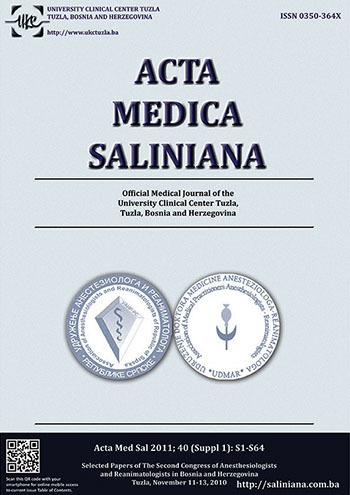 During his work in Tuzla, Dr. Stamenković had both ambulatory and surgical ophthalmologic practice. At the same time he was very much engaged in the field of suppression and eradication of trachoma and with the help from UNICEF he even established a regional anti-trachoma clinic in Tuzla. The Charter of Kulin Ban (1189) is a symbolic birth certificate of Bosnian statehood, as it is the first written document that talks of Bosnian borders (between the rivers of Drina, Sava and Una) and of the elements of the Bosnian state: its ruler, throne and political organization. The Charter was a trade agreement between Bosnia and Republic of Dubrovnik and was written in the Bosancica script. 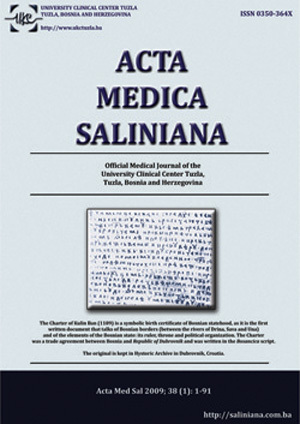 The original is kept in Hystoric Archive in Dubrovnik, Croatia.